Superfluity is a long-standing tradition of University Congregational United Church of Christ. Started more than 50 years ago by the Women’s Fellowship of the church, it has grown to involve more than 100 volunteers. In 2018, the sale raised $31,000, which was distributed through grants to 22 nonprofit organizations, most of which serve low-income people. The sale takes please each year in the Easter season—sometimes just before Easter, sometimes after. It runs from Thursday evening until early Saturday afternoon. Items featured in the sale include plants, books, jewelry, games, linens, kitchenware, antiques, art, children’s clothing, sports items, toys, tools, home decor items, small appliances, CDs, DVDs, records and other collectibles. Lunch is served on Friday, and an assortment of home-baked goods is available. Large furniture, artificial Christmas trees, Christmas lights, dried or plastic flowers, rolled up pictures/posters, macramé plant hangers, stuffed animals, disposable plastics, computers, printers, TV’s, VHS or audio tapes, office supplies, text books, Readers Digest Condensed books, skates, tire chains, adult clothes or shoes. In the weeks leading up to the sale (generally February and March) items may be dropped off at University Congregational United Church of Christ during business hours, Monday – Friday, 9 am – 4 pm or Sundays, 8:30 – noon. If you are dropping off items during business hours Monday-Friday, you can park in the lot across from the business entrance on 16th Ave NE (north of the main sanctuary entrance.) Note your parking space number and sign in on the parking log just outside the church office. If you are unsure about what to do next, just ask at the office. If you are able, it is very helpful to Superfluity volunteers if you transport your items downstairs to the Superfluity collection area. You may see a blue cart that you can use in the hallway. There is an elevator between floors. Ask at the office if you don’t see the cart, or need to know where to take your donations. If you just have a few items to donate, you can leave them on one of the carts inside the 16th Avenue entrance. Questions about donations? Please email us. The very first Superfluity sale took place on March 16, 1962. Sponsored by the Women’s Fellowship, it was called a White Elephant sale, and raised $1,366.18. Proceeds supported scholarships for church youth and other church expenses. In 1964 the sale was named Superfluity, and the tradition has continued on an annual basis. The sale committee began charging admission in 1973 to increase the proceeds. Then in 1984 the group began giving away the proceeds to nonprofits that support vulnerable children, youth and women. The Women’s Fellowship faded away over the years, but the sale continued on, powered by a group of men and women who enjoyed the opportunity to serve a good cause. 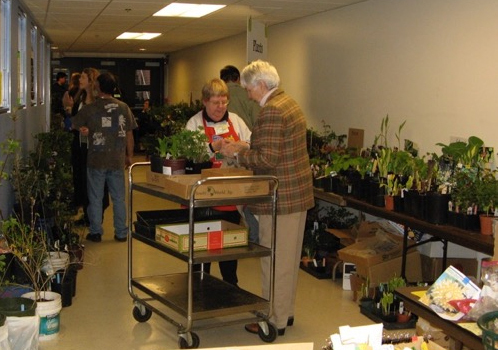 The Superfluity committee is made up of groups of volunteers, each of which focuses on a particular sale area – books, plants, bakery, treasures, housewares, decor, sports, children’s toys and clothes, jewelry, electronics, and tools. The sale has raised more than half a million dollars over the years. Among the statistics harder to measure are the countless volunteer hours preparing for and staffing the sale, the number of people who have donated valuable items, the amount of “stuff” that has been kept out of landfills through re-use and the countless opportunities for fellowship among church members. For additional details about this year’s sale, check What’s up now under the Superfluity category. As the sale approaches, you can see a preview of items for sale on our Facebook page.